Scientific research on different indicators of imminent volcanic eruptions is carried out on an ongoing basis, especially with volcanoes that are located close to urban areas. Remote sensing technologies are the preferred method of investigation due to the hazardous and sometimes unpredictable behavior of these volcanoes. The Telops Hyper-Cam has established itself as a reference tool for investigating clouds over large distances, and has illustrated its capabilities by imaging the Stromboli volcano, well known for its periodic eruptions of small magnitude containing various proportions of ash, lava, and gases. 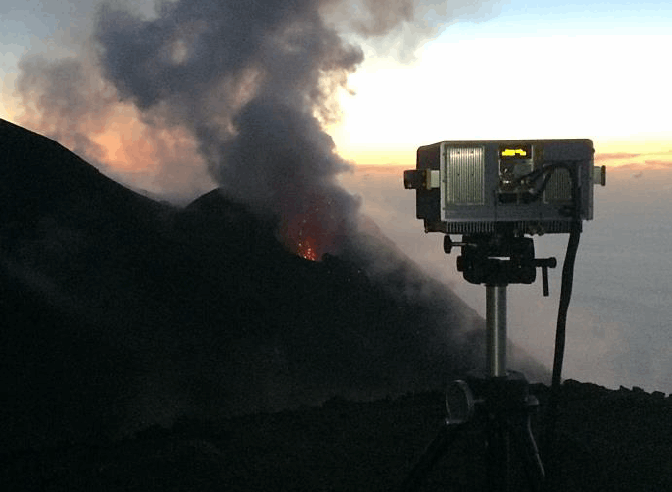 This application note highlights the benefits of using standoff infrared hyperspectral imaging for characterizing volcanic process.